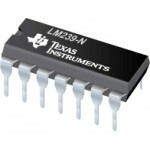 Purchase online LM311 Differantial Comparator in India at low cost from DNA Technology, Nashik. The LM311 is single high-speed voltage comparators. 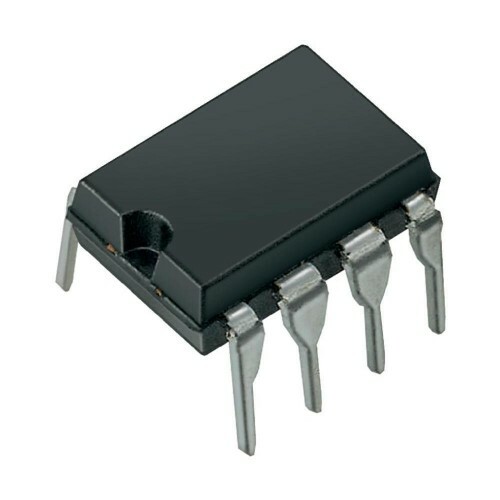 These devices are designed to operate from a wide range of power-supply voltages, including ±15-V supplies for operational amplifiers and 5-V supplies for logic systems. 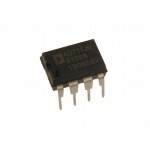 The output levels are compatible with most TTL and MOS circuits. 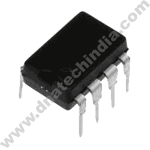 These comparators are capable of driving lamps or relays and switching voltages up to 50 V at 50 mA. All inputs and outputs can be isolated from system ground. 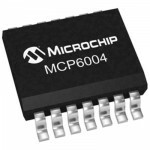 The outputs can drive loads referenced to ground, VCC+ or VCC–. Offset balancing and strobe capabilities are available, and the outputs can be wire-OR connected. If the strobe is low, the output is in the off state, regardless of the differential input. 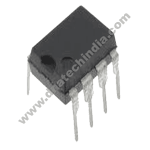 LM741 OPAMPLM741 is a general purpose operational amplifiers which feature improved performance over..
LM239 Quad Voltage ComparatorsThis family of devices consists of four independent precision-voltage ..